Hanuman Chalisa is one of the most popular Hindu devotional hymns created by Tulsidas in simple common man's language known as Awadhi language which is a form of Hindi (local). As it contains forty verses in praise of the supreme form and powers of Lord Hanuman, it is known as Hanuman Chalisa (Chalisa means that which is made up of forty). 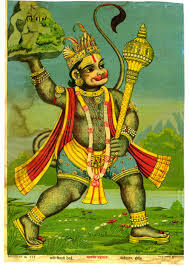 Besides praising Lord Hanuman's form and powers, it also describes his many great deeds like bringing back Lakshmana into consciousness, searching for Sita in the forests and in Lanka to trace her, and then, burning the whole of Lanka. It also describes Hanuman spotting the good nature of Vibheeshan and helping Rama in the war against Ravana, etc. This Hanuman Chalisa, in overall, contains two four-liner hymns at the beginning which are known as dohas and a two-lined ending hymn at the end which also is a Doha, besides the forty hymns known as chaupais. They are called as chaupais because each of these forty hymns is made up of four syllables each, with two syllables in every line. It is a very popular and strong belief among devotees that whoever recites the entire Chalisa daily, gets full protection from Hanuman in overcoming the life's problems and in escaping from all evil spirits. Here is the entire "Hanuman Chalisa" text in the original language (Hindi/ Awadhi) as written by Tulsidas, starting with the two dohas in the beginning and ending with one more Doha at the end and the entire Chalisa or forty verses being in the middle. The entire Chalisa is again provided in English text along with their meanings in the English language in my next blog for the convenience of all other readers who can't read Hindi and who want to know the meaning of each hymn. It is stated in the 38th hymn above that whoever recites this Hanuman Chalisa hundred times (or most probably 108 times), gets freed from all the obstacles and problems of life and will be bestowed with great prosperity and happiness. So, seek the blessings of Lord Hanuman by reciting the Hanuman Chalisa at all occasions. For English Meanings of the entire 40 Doha and Chaupais, you may view by clicking this below-mentioned link. 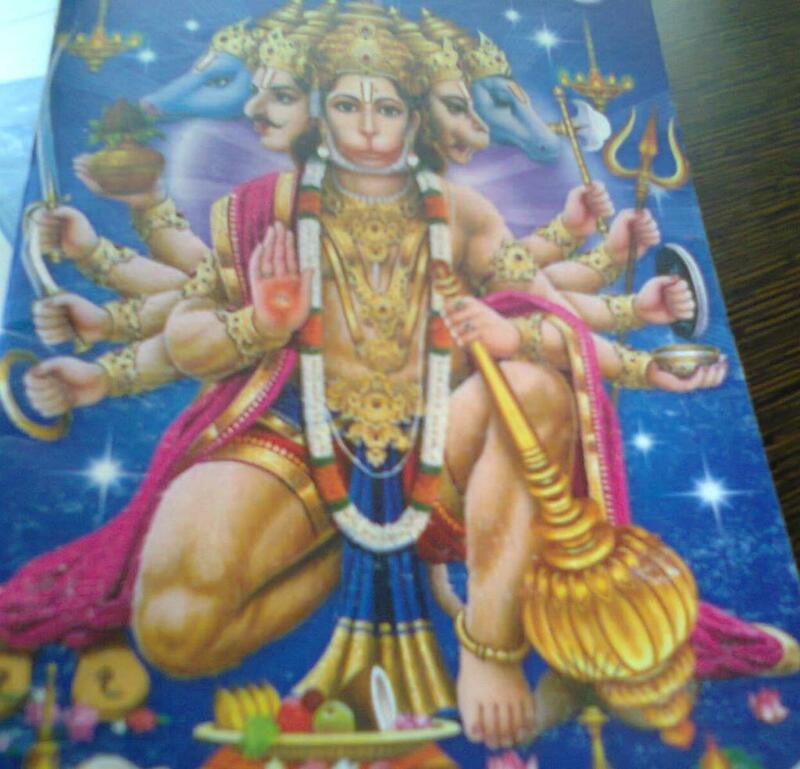 Hanuman Chalisa in English Text with Full Meanings.